A long night of scary stories and evil spirits await on the Nintendo Switch. 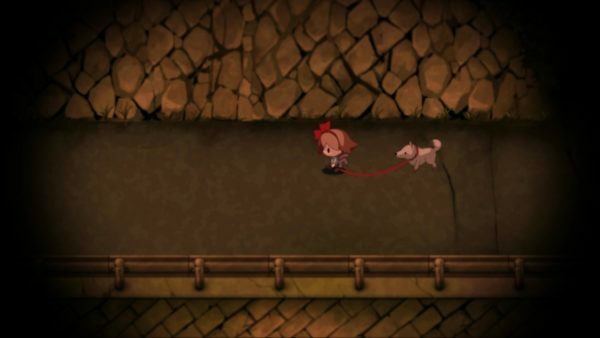 Yomawari: The Long Night Collection is exactly what the Switch needs for a taste of horror that not only delivers but works for the platform. 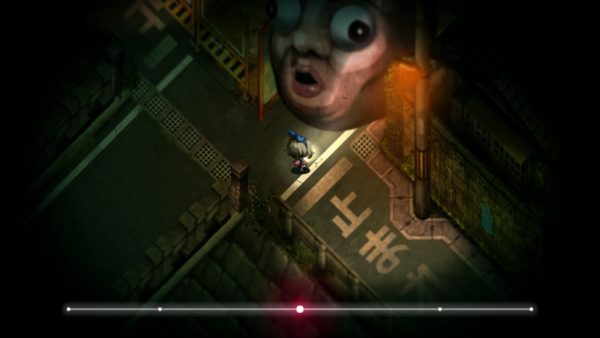 The first game of the series, Yomawari: Night Alone centers on a small Japanese town where the protagonist lives. A small girl who wears a red bow returns one night without her beloved pet dog. Her sister who’s worried about the dog being lost sets out to find it. Suddenly, she gets kidnapped by a spirit named Yomawari. Then, the Protagonist realizing her sister is caught in the hands of the dead, sets out on the dim streets to rescue her. 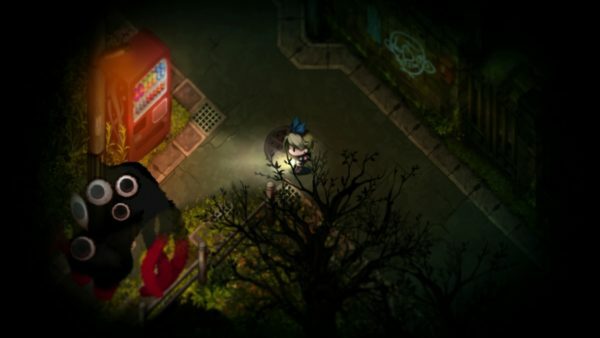 The Protagonist hides and runs from various malicious spirits set out to haunt the streets. Every encounter with them could lead to death. The Protagonist runs and hides from these spirits creating the game’s running and hiding system, which is how you progress through the storyline. Along the way, the Protagonist helps put these malicious spirits to rest. Thus, creating safer roads for others in her rescue mission. Set two years after the first game, Yomawari Midnight Shadows stars two girls, Yui and Haru. One night in this small Japanese town, Yui and Haru go watch a fireworks show. On the return home, the girls are suddenly attacked by an evil spirit, and become separated. As most friends would do, Yui and Haru set out to find each other. Facing dark and nightmarish spirits along the way. The player takes turns controlling both Yui and Haru. Flipping back and forth as they progress through the story. Yui is in the darker side of town and forced to go against the more dangerous and spooky spirits. While on her path, Yui is able to leave hints for Haru to defeat the spirits as well. Haru’s path focuses on getting to the area’s that Yui experiences. While also serving as a more cautionary tale of meeting more spirits and utilizing the game’s hiding mechanic. Aside from this, Haru’s path also focuses on spirits appearing in the world and creating potentially deadly encounters. As both girls continue on their journeys, secrets of the town start unraveling. Causing you to question the girl’s very existence every step of the way. While also constantly reminding players that death awaits around every corner. As previously mentioned, both games have hide and seek game mechanics. Danger is measured by a heartbeat which quickens when spirits appear. This is when the girls must run from the evil spirits and by finding key hiding spots, and can then fully escape from them. The hiding spots usually take the form of bushes and signposts. Depending on how aggressive the spirits are, many will pass by the hiding spot without noticing the girls at all. While others require a little more strategy in escaping their gaze. Running is also an important aspect as well. It is measured by a stamina meter which appears below on the screen. So players must use running wisely when coming across the majority of spirits as hiding spots are far apart, and once the meter is empty you cannot run again until it fills up. Furthermore, if the girls are being chased, stamina depletes even faster. Providing some challenge for the player when to run and when not. The collection series for the Nintendo Switch brings together Night Alone and Midnight Shadows, creating a terrifying experience. The running and walking is seamless and transitions smoothly over the frames. 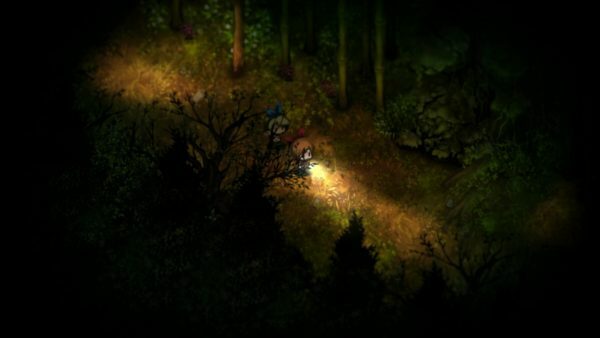 The quality on handheld mode is true to its’ origin, allowing new players from the Nintendo Switch platform to enjoy Yomawari’s unique art style on the go or on the television. While hiding from spirits is also a very seamless experience. 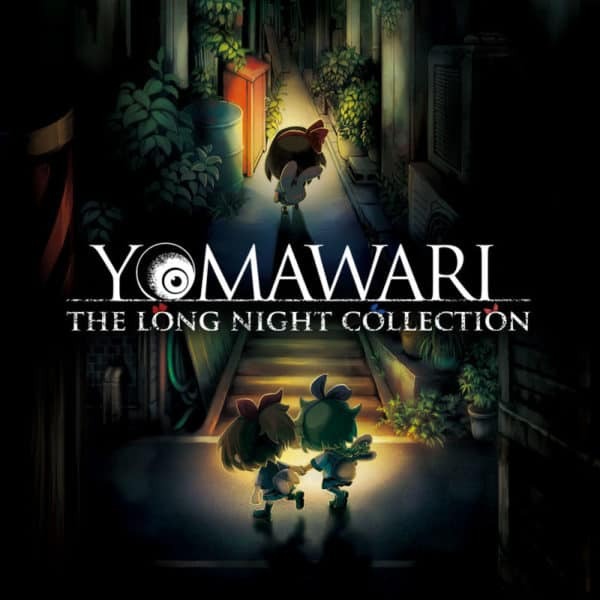 Overall Score: 8.0 Out of 10 Yomawari the Long Night Collection is a wonderful showcase of small horror games. Making the collection a great addition to the Nintendo Switch library. Even though the transition from a Vita to a Switch is not much different, it just feels perfect on Switch. Making this great for those wanting to replay the series again, or for new players looking for some spooks. This game was reviewed using a digital code provided by the publisher (NIS America).